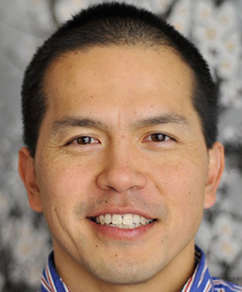 Gene Ang, Ph.D. has a healing practice based in Westlake Village, California and sees clients utilizing a number of healing modalities including Pranic Healing, Reconnective Healing, the Reconnection, Shamanic Healing, and Vortex Healing. In addition, he teaches a number of seminars that focus on the integration of science, spirituality, and healing. He travels around the United States facilitating healing sessions and workshops. He was formally trained as a Neurobiologist at Yale University where he earned his doctorate in basic mechanisms of how the brain develops followed by a post-doctoral fellowship on how ultrasound can affect the developing cerebral cortex.